Early bloomer. Flowers blue to pale yellow with blue violet tinting and striping. Leaves used for baskets. 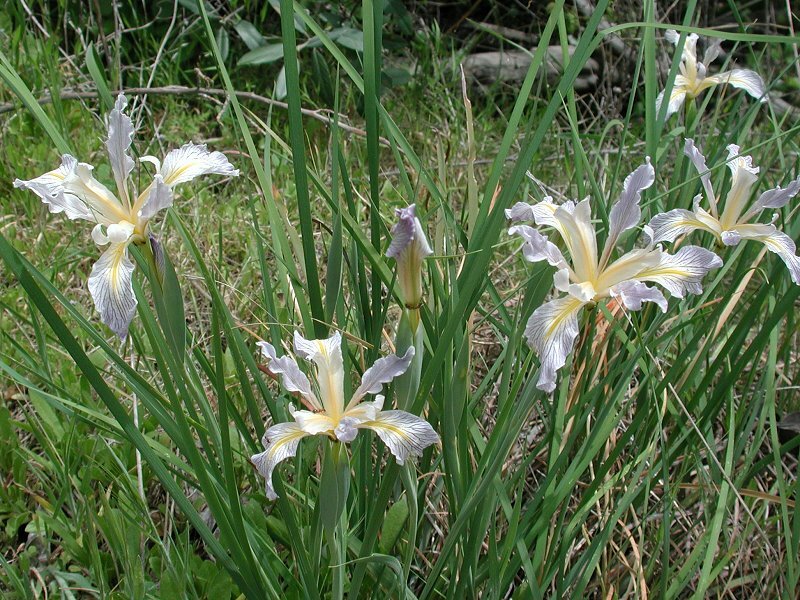 Iris was the Greek goddess of the rainbow. Notes: Likes shady places. 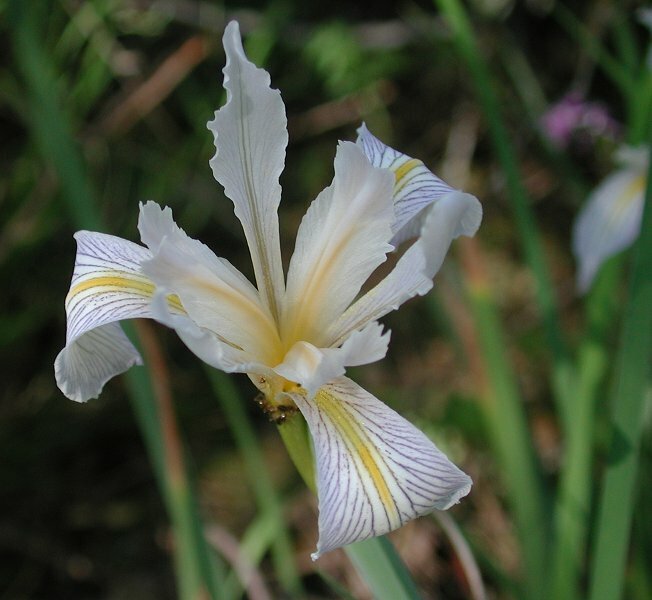 The Iris became the French symbol of the fleur-de-lis with Louis VII. It is the oldest cultivated flower and was found in ancient Egypt. Some of the finest cords from the leaf margins are fine, silky, but strong. Harvested in the fall, and stored until needed it was also used for nets, hairnets, rope, string etc. It was “Big Medicine” to the Maidu because of its many uses. Roots and rhizomes were used raw as a poultice against staph infections, infected wounds, ulcers and to remove freckles. Root tea was used for kidney trouble. It could be used internally only when dried, as a diuretic and to stimulate the pancreas. It was used as a cure for venereal disease. For toothache, the root was inserted into the cavity to kill the nerve, which worked fine—except the tooth falls out!? It was used preferably with other plants that were less strong. The flower can be pale yellowish, with blue tinting or completely blue purple. This plant would perhaps better be put in the violet/purple list.